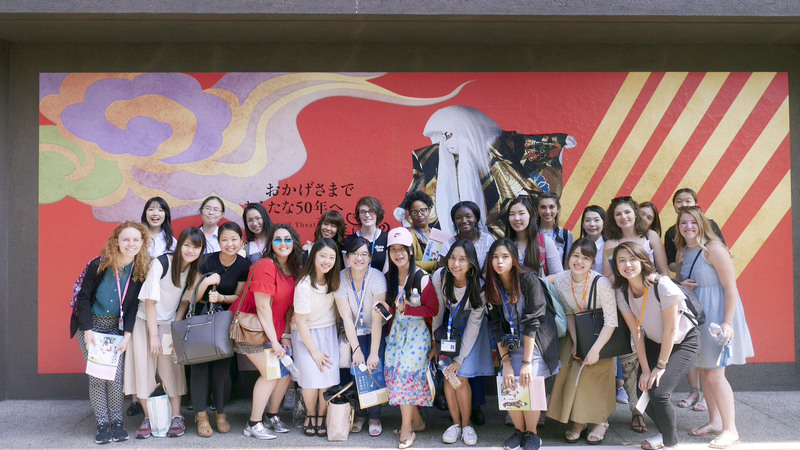 It was a hot and sunny day as the SSIP participants arrived bright and early to attend a lecture on kabuki, followed by a lecture on Japanese art, and finishing up with a visit to the National Theater to view an actual kabuki show! 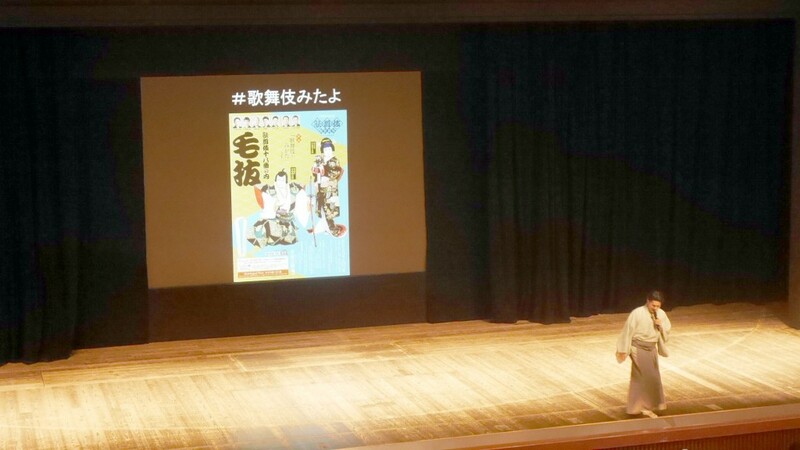 The first lecture on kabuki, traditional Japanese dance-drama, was skillfully done by Showa’s Oyatsu-sensei (Sanae Oyatsu) and translated by Ash-sensei. She informed the students on the long history of kabuki in Japan, and how it developed first from an art performed by women, to young men, to the modern kabuki of today performed by older men (yarou-kabuki). 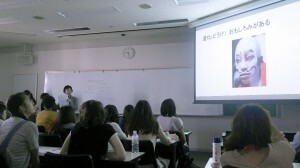 She also explained kabuki makeup and the conventions of the art. After the lecture, everyone was looking forward to attending the kabuki show in the afternoon. Immediately following the lecture on kabuki, Tsuruoka-sensei (Akemi Tsuruoka) taught the students about Japanese art, assisted again by Ash-sensei. 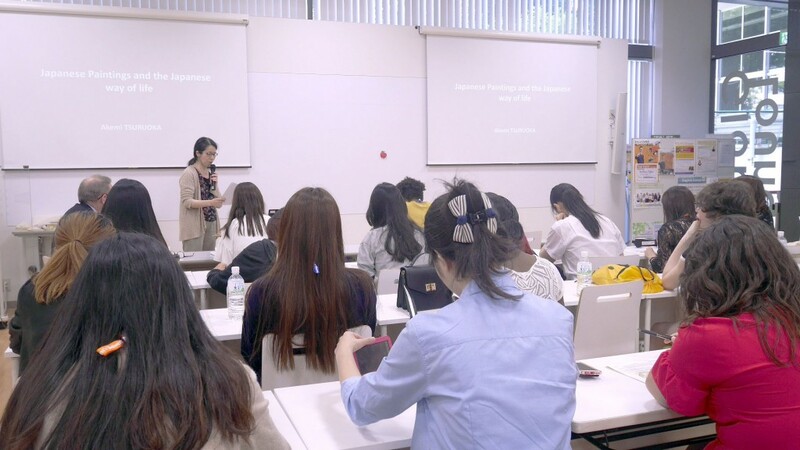 The lecture began with an exploration of folding screens, each of the students getting to fold their own mini paper version of one. 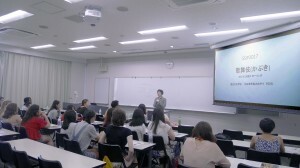 They also explored the presence and influence of religion in Japanese art. 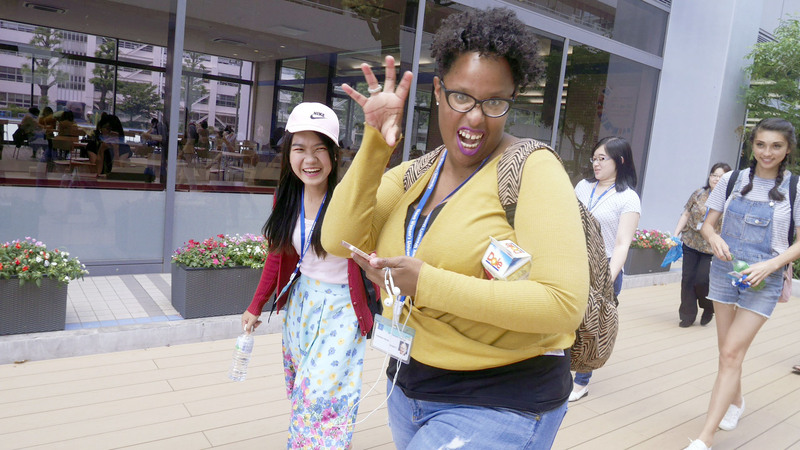 After a quick break for lunch, the students gathered at the Global Lounge and then head off to the National Theater for a kabuki performance. 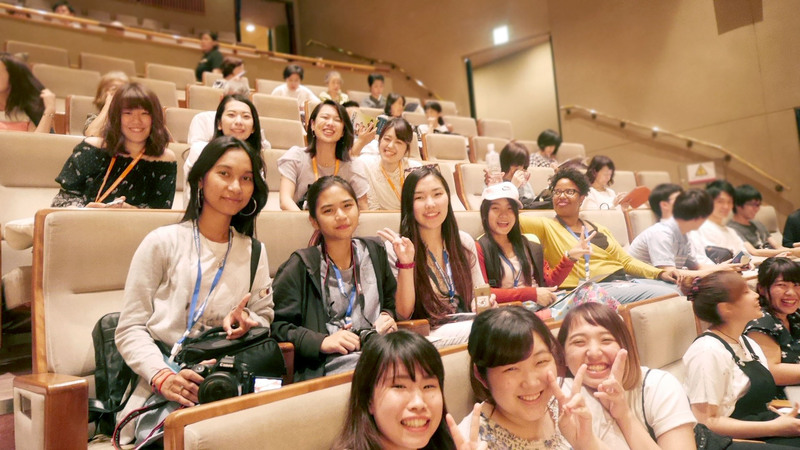 This was actually the first time any of the international students had viewed a kabuki showing, so everyone was excited for it the start. 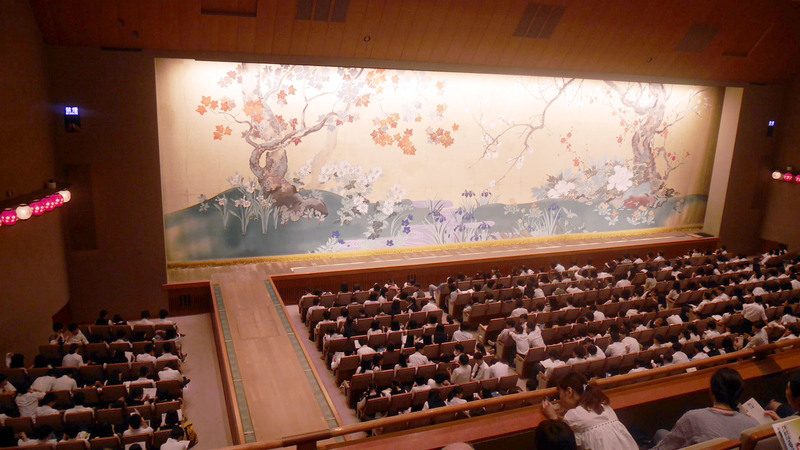 The performance began with an entertaining explanation of kabuki and the kabuki stage from one of the performers, followed by a short intermission, after which the show began in earnest. 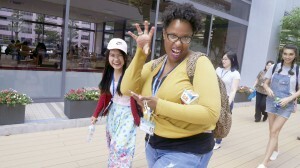 It was a skillful performance which incited a lot of laughter, and everyone really liked the show!